Wash, rinse, repeat. The cycle is SO predictable that it’s laughable. Folks outside the world of mainstream medicine champion a natural substance. A non-drug solution to tackle a major medical problem. They’re attacked by the “experts” and called quacks. Eventually, research proves they were RIGHT all along. Big Pharma makes a copycat drug BASED on the natural substance. Mainstream medicine docs sing its praises and prescribe it in droves. It’s a tale as old as the medical industry. And it’s NOT likely to change anytime soon. Which is why you’ve got to love it when a drug company’s money-making scheme backfires on them. So get ready to chuckle. 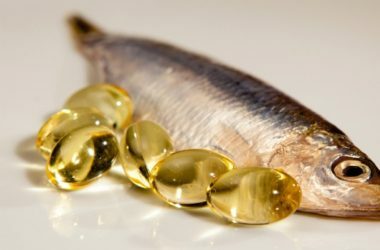 It turns out that a pricey drug-company darling… a purified form of the EPA fatty acid, omega-3… probably isn’t going to be the cash cow they once thought it would be. Nature put them in their place. Because the healthy EPA fats in the actual FISH can deliver the SAME heart-boosting benefits as their prescription drug version. Unsurprisingly, the costly drug company version of EPA works. A study found it can lower heart events. And since it’s copying what nature ALREADY does with fish oil, that’s exactly what we should expect. But the new study reveals HOW you get your EPA doesn’t really matter. In other words, when you shell out BIG BUCKS for a Big Pharma version of this fatty acid you’re flushing your money down the toilet. Because you aren’t getting anything extra. Serving a delicious fish for dinner, or taking an affordable fish oil supplement, can get you the same results. A drastically lower risk of stroke. Strokes strike around 795,000 Americans every year. They’re a major cause of disability in adults. And that’s particularly true for seniors. In fact, nearly three-quarters of all strokes occur in folks over the age of 65. And stroke is the fifth leading cause of DEATH in the United States. But boosting your EPA levels can send your risk for one plummeting. In the new study folks with the highest levels of EPA had a 26 percent lower risk of ischemic stroke. Which was nearly identical to the drug’s 28 percent lower risk. Ischemic strokes are by far the most common type. They usually occur when a blood clot plugs up a blood vessel in the brain blocking blood flow. But ischemic strokes can also happen when the narrowing of an artery becomes so bad that blood flow is blocked. And the EPA found in fish oil, NO MATTER THE SOURCE, can help keep your blood flowing, reducing the chances of having one. But fish oil’s heart-supporting benefits don’t stop there. The combo of EPA and DHA fatty acids slashed plaque buildup (atherosclerosis) in the large arteries by a third too. So go ahead and make wild-caught fatty fish and other seafood “what’s for dinner” more often. Aim for at least three servings a week. And consider taking a good quality fish oil supplement as well. Just don’t feel obligated to pony up the cash for Big Pharma’s high-cost version unless you want to.